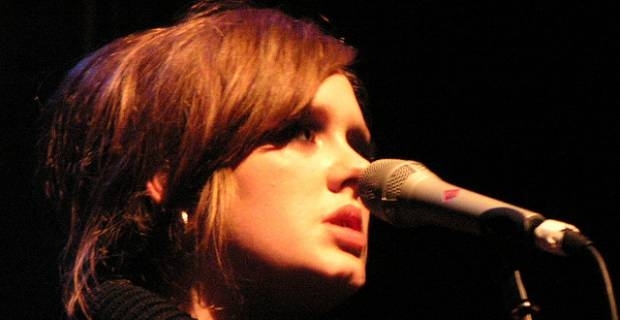 British pop sensation Adele, 23, loses more weight coming soon after her health problems that forced her to quit smoking for the sake of her voice and her subsequent throat surgery in November 2011. The pop heartthrob graced the Grammys this year in her stunning, svelte figure that has got tongues talking since. Adele is expected to lose even more weight after she embarked on a new health plan. The singer is reported to be working out twice a week with a personal trainer to ensure she achieves her desired weight and leads a healthier lifestyle. She has even been spotted carrying coffee and a smoothie for lunch, which attests to her resolve to loose weight. Last year the singer was forced to cancel a string of gigs after she was found to have a benign plop on her vocal chords. She had to undergo surgery in the U.S to correct the problem. The singer has also had to defend her voluptuous figure on a number of occasions, which has looked uncomfortable for her. In February, 2012 German fashion designer Karl Lagerfeld courted controversy when he criticised Adele’s curvier figure, terming her “fat.” Adele responded in her own defence saying: “I've never wanted to look like models on the cover of magazines. I represent the majority of women and I'm very proud of that. Controversy aside, it appears Adele has a new resolve to change her lifestyle, more so for health reasons than to lose weight or silence the critics. It remains to be seen if this lifestyle change will belong lasting.